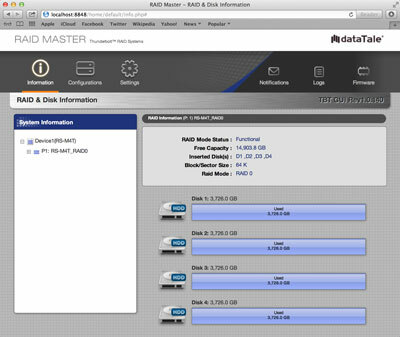 The RAID MASTER is a specially-designed GUI software specifically for our DataTale SMART Thunderbolt RAID Systems. yet modern way to manage the RAID System. First, copy the 'pkg' file onto the host computer desktop, and double click on the icon. 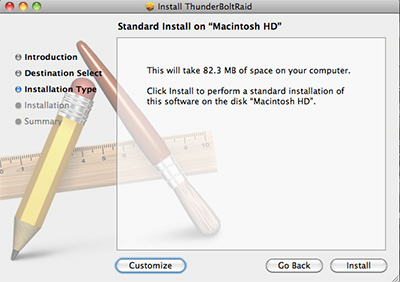 To personally change the Installation Type, please click 'Customize' to specify your preferences. 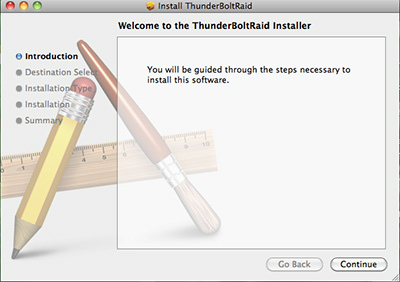 If the Standard Installation is suitable for you, simply click 'Install' to continue the installation process. 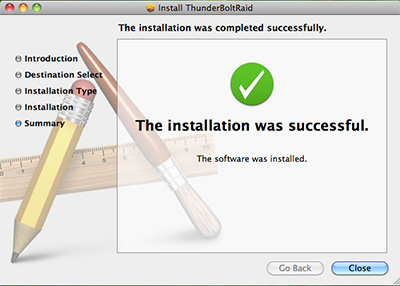 Once the RAID MASTER has been successfully installed, please click 'Close to end the Installation process. 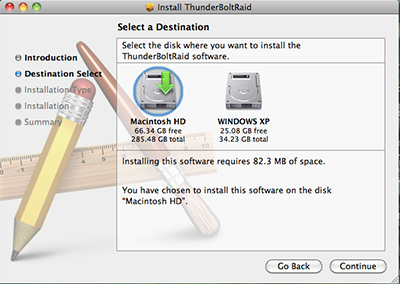 Now, you will see the RAID MASTER icon appearing on the desktop and in the Applications folder.